Item #48637 : Original era manufacture. 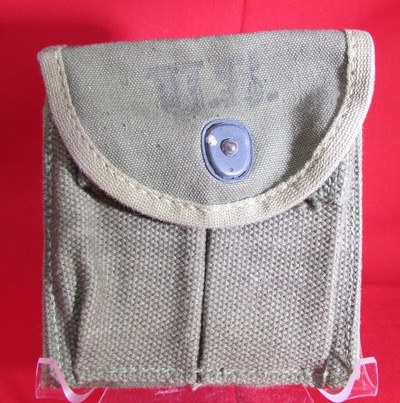 Dark OD canvas pouch with light OD trim, faint maker and US stenciling, date of 1943. Small amount of surface corrosion on the snap. 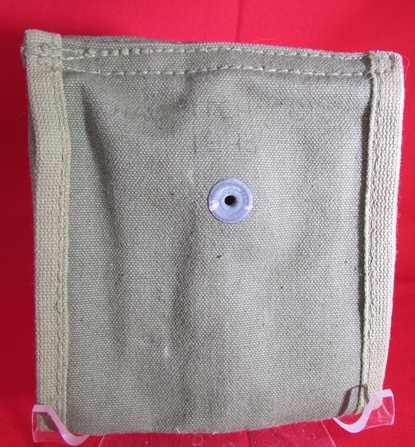 Otherwise near new condition.